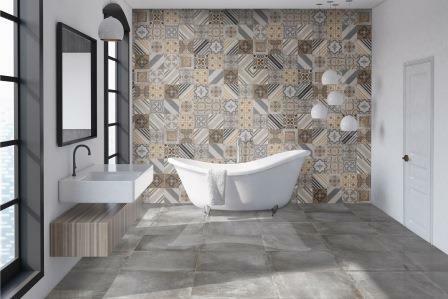 Ege Seramik proudly introduces the latest in its series of porcelain tiles… Antwerp and Spectra. Antwerp is a sophisticated, glazed porcelain collection characterized by its matte finish. Available in four earth tones (beige, brown, grey and anthracite) and two sizes (12” x 24” and 24” x 24”), the product has been designed to appear as a mixture of concrete and natural stone. 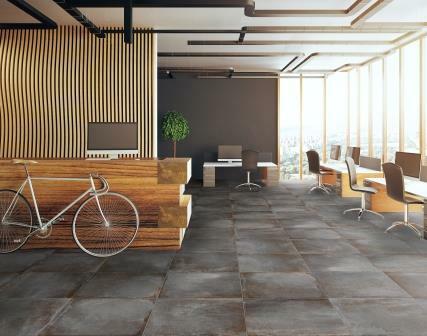 Spectra is the “fraternal twin” of Antwerp with a defining characteristic of being a fully polished tile. The colors and the sizes are the same. Digitally printed via Ege Seramik’s state-of-the-art inkjet technology, both series are high-performance and low maintenance, ideal for both residential and medium traffic commercial applications.